Richard Abraham is an author and a journalist with Cycling Weekly and Cycle Sport magazines, for whom he has covered the Tour de France, the sport's biggest stage races and one-day classics. 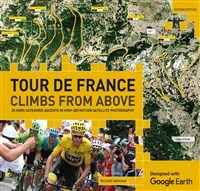 His work has also featured in Tour, Cycling Fitness and Cycling Active magazines. He lives in Reading and his favourite climb is the Col du Galibier.